Updated 12/12/2010 Thanks guerrierinconnu for allowing me to adopt this amazing cel! 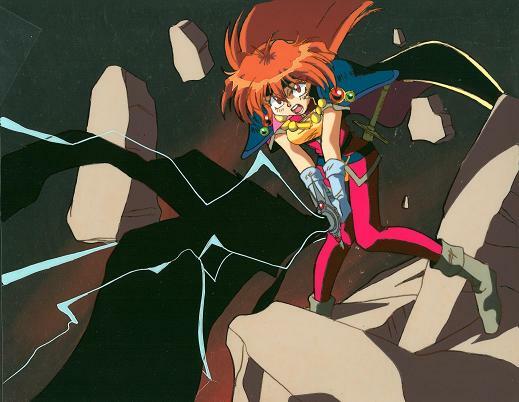 This is when Lina is striking Shabranigdu with her Giga Slave! Awesome! Previous: Lina Casting Giga Slave. Next: Lina with White Hair Groaning at Gourry.